You are here: Home > MCSD News & Alerts > MCSD News & Alerts > Colorado News > 3rd-5th Grade Dance at the Y! Friday, May 6th! 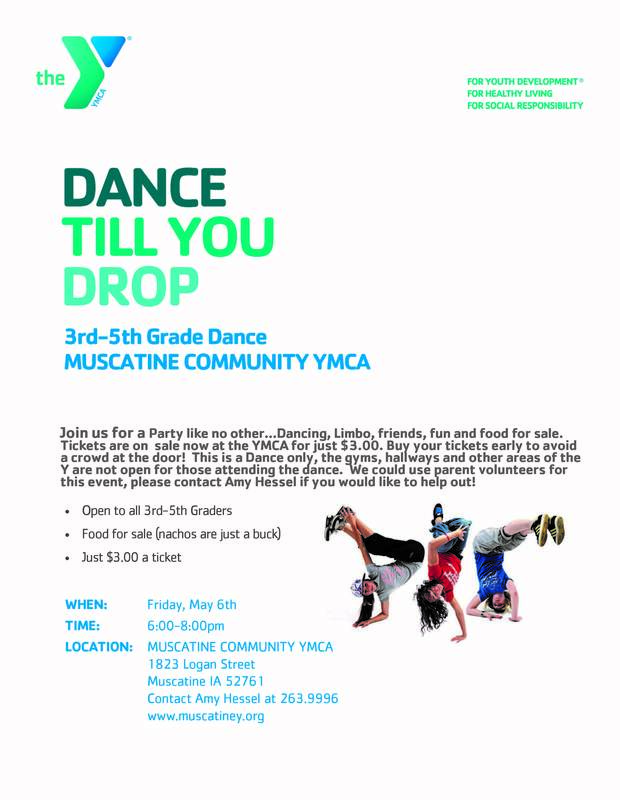 Join the YMCA for a Party like no other…Dancing, Limbo, friends, fun and food for sale. Tickets are on sale now at the YMCA for just $3.00. Buy your tickets early to avoid a crowd at the door! 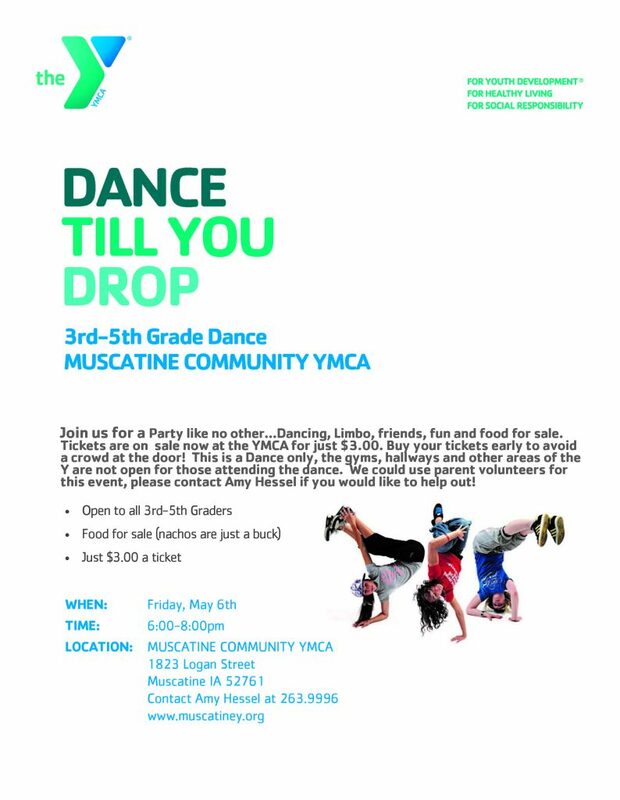 This is a Dance only, the gyms, hallways and other areas of the Y are not open for those attending the dance. We could use parent volunteers for this event, please contact Amy Hessel if you would like to help out!